A pretty woman stands before a 'cit' (citizen) and his wife, who asks 'What Situation in my Family woud you wish to undertake Young Woman'. 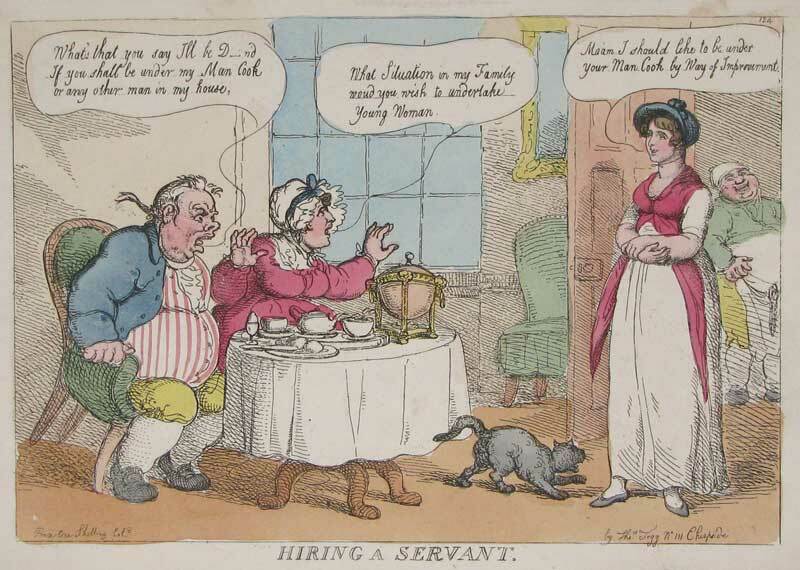 She answers demurely: 'Ma'am I should like to be under Your Man Cook by Way of Improvement'. The man exclaims: 'What's that you say I'll be D—nd If you shall be under my Man Cook or any other man in my house'.